Do you want a big dog but think it is cruel to have a big dog in an apartment? As long as you have time to spend with your dog, it is not cruel at all. In fact, a dog living inside probably gets much more attention than a dog living in the back yard. More and more apartment complexes are allowing renters with big dogs. You may have to pay a higher deposit and an extra monthly fee, but these big-dog-friendly apartments are out there. So you don’t need to give up your dog if you find that you have to move from a house to an apartment. Eight years ago, I found myself in this very situation. But there was no way I was giving up my dog. When I moved from Texas to Kansas, I found a great big-dog-friendly apartment at Autumn Park Apartments. Me and my 55 pound dog, Sephi, live there for eight years. I paid a $300 pet deposit and an additional $25.00 per month. And it was worth every penny! A few years ago, I got another big dog, Maya. Both Maya and Sephi did just fine living in our one bedroom apartment. We went for walks almost every day so they got plenty of exercise. I also occasionally paid a pet sitter to come walk them on days when I would be working late or something. If you want a big dog in an apartment, just keep in mind that an indoor dog may need more training. There is potty training to consider and chewing issues. Both of these may be alleviated with crate training. Also, consider the breed of dog. Some dog breeds require more exercise than others. It is probably better for a high-energy breed, like a Border Collie, to have a yard to play in. Sephi and Maya got a lot of love because they were indoors rather than in the lonely outdoors. Even though they lived in an apartment for a long time, they are very happy and healthy dogs. Apartment life has not diminished the quality of their lives in any way whatsoever. 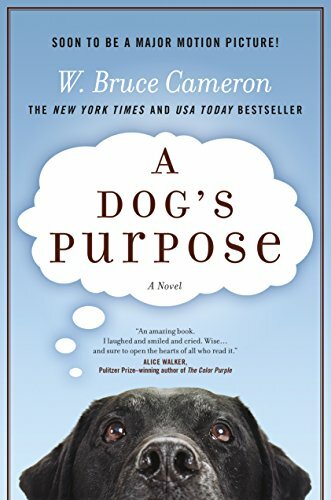 I thoroughly enjoyed “A Dog’s Purpose” by W. Bruce Cameron. The entire story is told in the perspective of a dog. W. Bruce Cameron does a great job at telling the story through the dog’s limited view. And although the dog’s version of what happens if often mistaken, misunderstood, and even comical, we humans have no trouble understanding what is happening. “A Dog’s Purpose” is a well-told story about a dog who is reincarnated several times. Each of it’s lives is different and each leads to his purpose in the next life. In the dog’s first life, he is a stray dog who learns how to fend for himself without humans. But he is eventually caught and named Toby. As Toby, he learns how to love people, protect his family, and how to open a fence. He life ends after only a very short time when he is put to sleep because he is unadoptable. When he is born again, he remembers how to open a fence and wanders away from a puppy mill and into a better life as Bailey. Bailey lives a long and happy life with his human boy, Ethan. In this life, Bailey learns how to tell good people from bad. He learns commands, tricks, and how to protect his family from the bad people. But mostly, he learns what a pleasure it is to live his life for his boy, Ethan. When this long life is over, he is reborn as a female German Shepherd. She is purchased by a police officer named Jacob. Jacob names her and trains her to be a search and rescue dog. Ellie’s past life helped her to learn quickly and to become very good at her job serving humans. She saves many lives, including Jacob’s. Jacob is injured on the job so Ellie has to go on to be the dog of another police officer named Maya. Ellie inspires Maya to be a better police officer and together they save more lives. And when Ellie is forced to retire, she continues her life learning about bigger families and how to be a good dog with children. Once again, she lives a long and happy life. When she is reborn, she is once again a male dog. She, who is now a he, is born through a breeder and purchased by someone who only somewhat cares for him. He continues to realize the complexity of people and learns that not all people are good at taking care of and loving their pets. He has a very sad and unfulfilled life until he finds himself abandoned. While using what he learned in his first life to survive on his own, he soon finds himself in the same area where he had once enjoyed a previous life. He now finds a new purpose and sets on a quest to rebuild that life. I shed quite a few tears in this story. But I also smiled and laughed. This story has reminded me of how much my own dogs have fulfilled my life and brought me happiness. And it has reminded me about how important dogs our to our lives and how we humans should continue our quest to do away with puppy mills, stop animal abuse, support animal adoption, and teach people how to properly care for their pets. I highly recommend this book to any animal lover. Ask for it at your local book story or check it out online at Amazon.com affiliate site titled Dog Lover’s Book Store. I was just reading a post on the All Things Dog Blog about the importance of walking your dog. 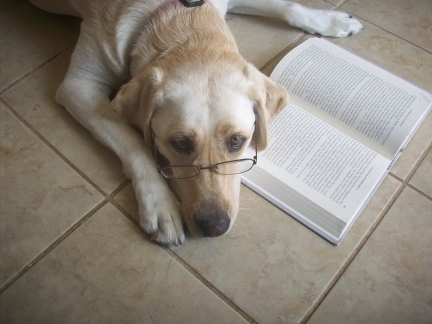 And it made me think about my experience with teaching my hyper yellow Labrador Retriever, Maya, how to walk on a leash. I have never used a retractable leash with any of my dogs until my dog walker gave me one for my Labrador/Shepherd/Chow mix, Sephi. “Great!”, I thought, “This is much easier than a leash.” So I used it to take Sephi for a walk all the time. When I got Maya, I found the retractable leash much easier to use with her as well. Especially since she is so crazy. She likes to investigate everything with energetic exuberance. So the retractable leash was the best way to let her do that and not get blisters on my hands with all her pulling. I regret coming to rely on the retractable leash with Maya. There are three situations which I would like to address when it comes to using a retractable leash. The three issues all revolve around one thing – control. You can’t control your dog as well when they are on a retractable leash. Let me share a story with you which was told to my by a customer visiting our booth at the Kansas City Pet Expo. We were discussing our pets and other pet issues when she told me about how she accidentally hit and killed a dog who had run into the street while being walked on their retractable leash. The dog had run unexpectedly into the street to get at another dog who was walking on the other side of the street. It happened so quickly that the owner was unable to lock the mechanism on the retractable leash in time and the driver of the car was unable to stop. The dog died instantly. It was a traumatizing event for both the dog owner and the dog lover who killed him. 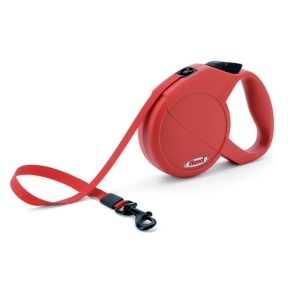 The second and third situations with using a retractable leash have to do with Maya. The second situation is not as tragic as the story above, but it could have been. As I said, Maya likes to investigate every little thing when she goes on a walk. While we were lucky enough that she never encountered an oncoming car in the street, she did encounter other dangerous things – things like garbage, dead animals, and glass. I tried to stop her with the locking mechanism, but I wasn’t always successful. Maya cut her tongue on broken glass one day. Luckily it wasn’t too badly cut and she was okay. By always walking Maya with a retractable leash, she never learned to walk properly on a leash without pulling. Every walk was a struggle. Although I had less issues with the retractable leash than with a leash, I still didn’t have as much control as I would have if I had just trained her properly. Check out the story about Why My Dog Is Pink and see how a retractable leash caused Maya to get away from me and into trouble. Last summer I stopped using the retractable leash and started training Maya to walk on a proper leash. It has been a long hard struggle because I didn’t teach her properly to begin with. But after several months, I am proud to say that Maya can now walk on a regular leash with out pulling at least 90% of the time. We still have issues like when she sees another dog or wants to investigate something, but she is much easier to control and our walks are now much safer. Feel free to use a retractable leash on occasion, but don’t use it when walking along a street. And don’t rely on it for proper training. As indicating in the All Things Dog Blog, proper training and leash walking can go a long way. A Few days ago we posted a puzzle on unique dog breed colors. We gave you the color and you had to guess the breed it was associated with. If you didn’t see this post and want to try to figure out this puzzle, just check out our recent post. Then come back here for the answers. It has been a while since we did a dog breed puzzle so we thought we would make a little game out of some of the unique colors associated with certain dog breeds. Many dogs are of standard colors, including black, tan, white, red, black and white, black and tan, etc. But let’s see if you can guess which dog breed is associated with which color. Each color is unique to only one dog breed. However, one dog breed may have more than one unique color. Which AKC dog breed has ________ as a color used to describe it? As of June 1st, 2010, the American Kennel Club (AKC) has welcomed three great dog breeds into their club. There are now a total of 167 dog breeds in the AKC registry! The Cane Corso is a mastiff breed with origins in Italy. According to the AKC, the Cane Corso, “descended from the Roman canis Pugnaces”. 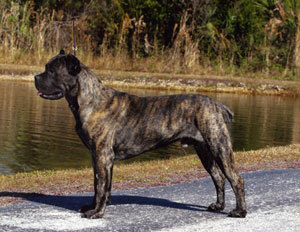 Like the mastiff breeds, the Cane Corso is a large dog bred for the hunt and as a guard dog. Although he has guarding instincts, he is generally a gentle breed and a great companion dog. As indicated in his name, the Icelandic Sheepdog has origins in Iceland. In fact, it is Iceland’s only native dog and the Icelandic Sheepdog’s ancestors may have first come to Iceland with the Vikings. 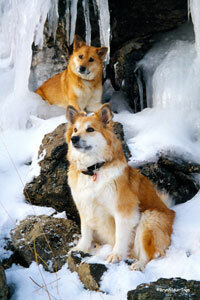 The Icelandic Sheepdog is a hardy dog, perfect for the harsh weather of Iceland. It is a great sheepdog, watchdog, and general working dog. www.AnimalFigurineStore.com along with its sister site, www.PetAutoSafety.com will have a booth at the annual Suds of Fun event at U-Wash Puppy on July 7, 2010. What is Suds of Fun? The Suds of Fun event benefits the Humane Society of Greater Kansas City. Pay just $5 to use the facilities at U-Wash Puppy and give your dog a bath. U-Wash Puppy provides everything you need, including shampoo, brushes and combs, towels, and doggy perfume. And best of all, 100% of the fee helps the animals at the Humane Society of Greater Kansas City. The event lasts from 4pm to 7pm. Come give your dog a bath and check out some dogs for adoption as well as some local pet vendors! Please leave your dogs at home when you go check out the fireworks this year. Even dogs who are not generally scared of loud noises may be sensitive to the continuous booming sounds of the fireworks. Every year, animal shelters are flooded with dogs who ran off in terror during the 4th of July celebrations. If you don’t believe me, just call your local animal shelter and ask. When you leave your dog at home, make sure they are in a secure place. If possible, leave them in the house so they don’t dig out. Even a dog who doesn’t normally dig may be inclined to dig when they are terrified. With big dogs who are extra sensitive to loud noises, consider leaving them inside the house in a crate so that they don’t break through a window. For other information on tips about dogs and the 4th of July, visit Pet Auto Safety Blog.com. Some time back, we featured a story about the Dachshund dog breed and shared a little bit about Frank, Molly, and T-Bone – three great pure-bred Dachshunds who were rescued. Today, we are going to share more of their story – exactly as given to me by my aunt. The lives of Frank, Molly, and T-Bone each starts with one of tragedy, but ends in a happy and loving home to people who would never consider using them, mistreating them, or letting them go. As you can see, a great pet does not have to be purchased. If you are not lucky enough to come across a dog who needs a good home the way my aunt and uncle did, you can always find great dogs at the animal shelter. If you have your heart set on a pure-bred dog, though, animal shelters have purebreds too. If they don’t have the breed you want at the time, ask them if they will put you on a list and contact you when they get a dog in the breed you want. There are also dog rescue groups all over the United States. Check online and search for a dog rescue group which specifically rescues and adopts out dogs of a certain breed. Dog rescue groups are great because they take care of the dogs personally and know more about their individual characteristics. 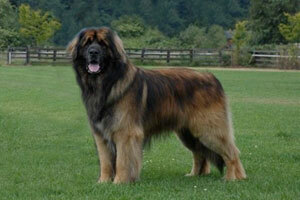 There are also much more knowledgeable about the breed and can give you lots of great care and training tips.